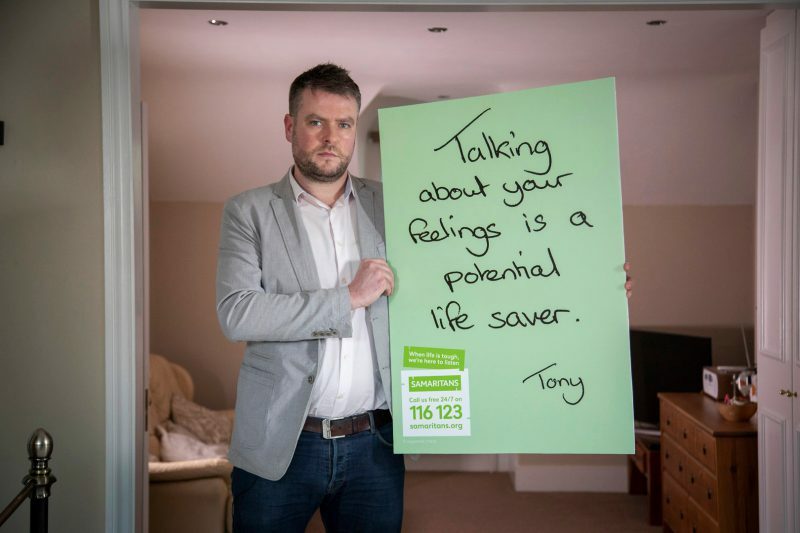 In a new campaign titled “Real People, Real Stories”, Mental Health Charity Samaritans have used hand written messages from men who have overcome difficult times to encourage men at risk to seek help by contacting the Samaritans hotline. The campaign uses insights surrounding mental health that people are comforted knowing they are not alone in what they are experiencing. 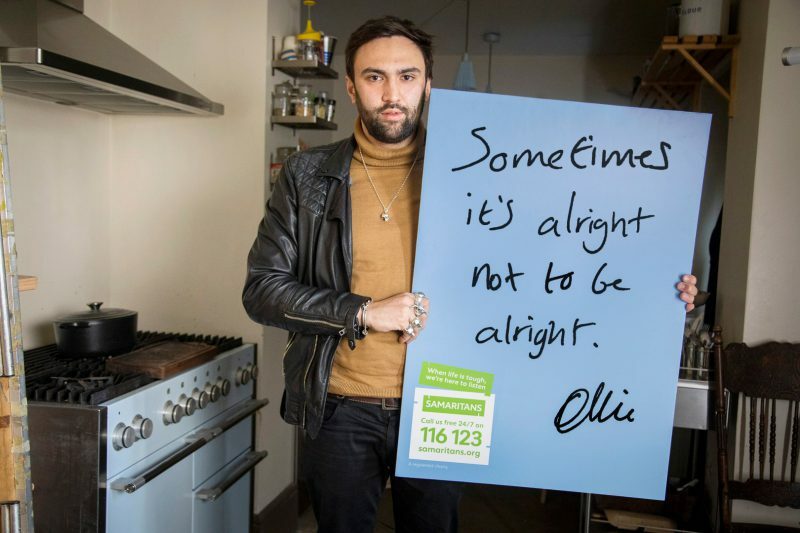 Their survey found out that 41% of men in England, Wales, and Scotland feel that they should solve issues on their own and do not seek help. The research also showed that some men feel their problems are not important enough to bother others with, hence the need for such a personal approach. 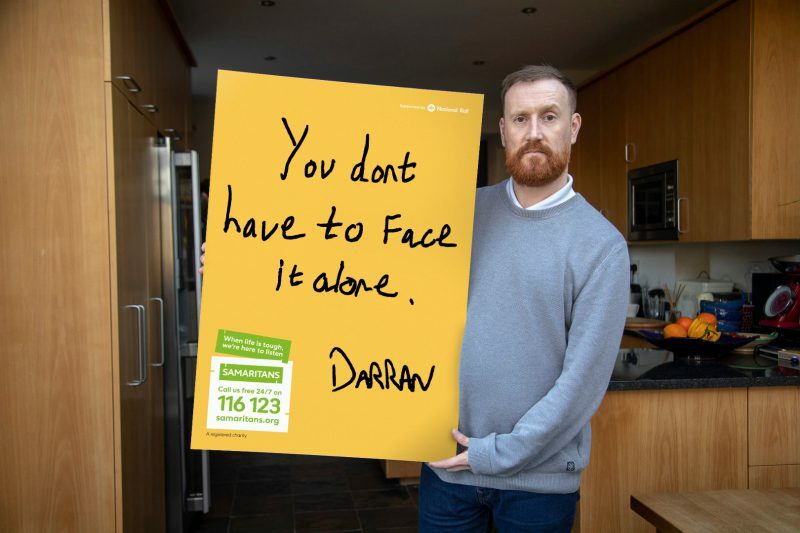 The block posters with hand-written messages will be accompanied by a series of pictures of the men behind the messages holding up their posters.